Used in offices, factories, shops, stores and homes, line daters print month, day and year as shown in the sample impressions. 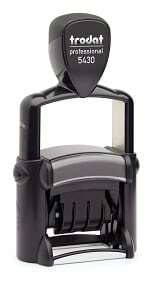 Line daters are available in hand (regular) and self-inking styles. Hand style, used with a separate stamp pad, is the economical answer to a small volume of date stamping. 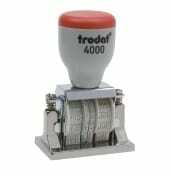 Choose self-inking style for speed and convenience in handling larger volumes of date stamping. All line daters have 4 bands made of strong vulcanized rubber. Knurled wheels easily turn bands to desired date. 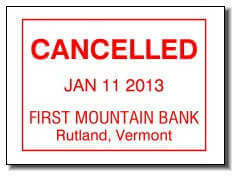 All stock year bands include or begin with the current year unless ordered as special bands. Dater bands may be combined with figure, letter or special (custom) bands to make up special purpose daters to meet your specific requirements. 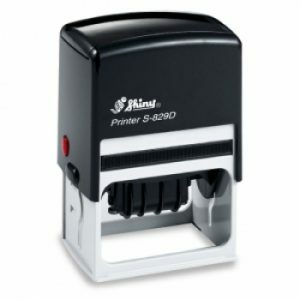 Available in traditional (must be used with a separate stamp pad) or self-inking. A variety of sizes and styles for nearly any application – from lightweight plastic to rugged metal. When your custom message is required along with the date, a die plate dater is the only choice. 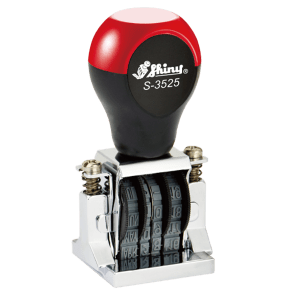 Also available in traditional (must be used with a separate stamp pad) or self-inking, your custom message can print above, below or around the date which prints in the center.